Exercising, regardless of age, is not only necessary, but also beneficial to your health and mind. And it’s a well-known fact that a body in motion tends to stay in motion, while a body at rest tends to stay at rest. The key is to find as many enjoyable exercises that will keep your body in shape, while still not being overly strenuous. Exercise releases endorphins, which are chemicals proven to increase feelings of happiness and joy and to reduce pain and discomfort. Below you will find eight innovative activities that promote a healthy, exciting lifestyle and boost your happy chemicals! Yoga has been a trendy and fulfilling exercise for quite some time now because it is an easy, low-impact exercise that focuses on breathing control, simple meditation, and limberness. And since it’s an exercise that is geared towards promoting health and relaxation, why not make it part of your morning routine while traveling? Many destinations offer morning yoga classes on a beach, which would be a nice change of scenery from the local gym. Another exercise that is easy to practice as an active senior is swimming, which provides a full body workout without high levels of stress on your joints. If you are an avid swimmer but are also looking for some different waters, why not take a dive into the south pacific off of French Polynesia, or even try snorkeling through the Great Barrier Reef? The change of scenery will surely provide you with a thrilling rush that you will likely not forget. Try creating a bucket list of waters that you wish to swim in, and begin to tackle each destination one by one. Bike tours are such a fun and effective way to see a new country, while simultaneously promoting a healthy and sustainable lifestyle. You’ll undoubtedly feel revitalized after leisurely biking through the wooded slopes of the Danube Valley --you’ll not only have released a high number of endorphins from the exercise itself, but you will also feel a sense of tranquility from your natural surroundings. A tour like this makes for an excellent activity for those active seniors wishing to be engulfed in the nature throughout the world. bathing Although this is not necessarily an exercise, it is an activity that promotes health and relaxation (as long as it is done with the right amount of sunscreen!). One of the best aspects of a vacation is the lazy day where you simply lay on the beach under the sun or in the shade of a palm tree, and get a little bit of color on your face. The soft sound of the waves crashing on the shore will help ease your stress levels, while you soak up all of those vitamins from the sun. I know I always feel like a new person at the end of a relaxing beach day because even others can acknowledge how well-rested I appear. Scavenger hunts are a fun and exciting way to exercise, because you don’t usually think about how you’re exercising! But in truth, a full day’s worth of exploring could result in several miles covered through the destination you’re visiting. Moreover, you’re making the most of your time because you’ll also be learning about an ancient culture that you may not have known. Lastly, scavenger hunts make excellent bonding activities if traveling with friends, with is just another health benefit! Similar to a scavenger hunt, a scholarly tour is an opportunity to exercise while not consciously exercising. This activity is excellent for a history buff who is interested in gaining visual context for historical material. Or for those who would rather take a relaxing nature hike through the canopies of Costa Rica, you’ll feel rejuvenated as you take in the serenity that surrounds you. This activity is a wonderful way to experience another culture or environment at a less strenuous pace, as compared to a bike tour. 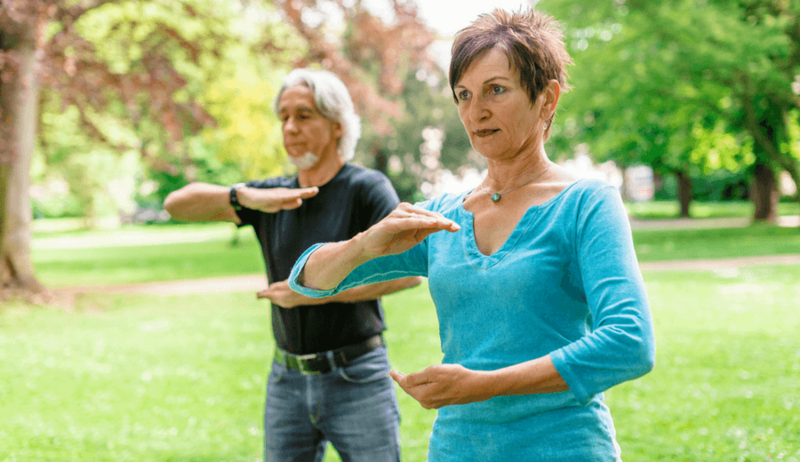 Similar to yoga, Tai Chi is a low stress, meditative exercise that focuses on slow, focused movements accompanied by deep breathing. This makes for an excellent stress relieving exercise. So, why not learn all about it from where it originated? A trip to China would make for an excellent walking and group tour with friends and family; and along the way, you could pick up a new exercise that you can take back home with you! Camping is a wonderful opportunity to promote family bonding, rest, and relaxation while still being budget conscientious. Moreover, it is the perfect opportunity to disconnect with the stress of everyday life, while moving at your own pace. The peace and tranquility that surrounds you will help you forget about the little stresses of everyday life. Lastly, camping is an activity that can take place in your own backyard, the state park just a few miles down the road, or at a national park that you’ve never visited. If you feel as though these senior activities don’t interest you, that’s perfectly fine! Try taking whatever activity it is that you enjoy to your next destination to promote a health trip. The change of scenery will make the activity far more enjoyable as you indulge in the excitement of new surroundings. And if you need inspiration for senior activities that you could make part of your daily routine, read more about activities for senior citizens that you can participate in! The most important thing for seniors is to get up and move, at whatever pace you might need. 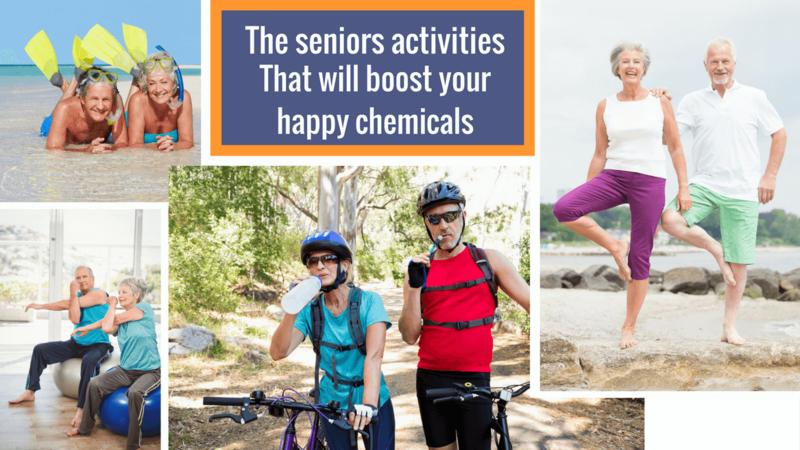 Staying active has been shown to increase vitality, boost memory, and of course, release those happy chemicals that make our days more enjoyable and full of life. By integrating exercise and movement into your life, you’ll find a renewed energy for involvement and exploration. Try out one of these suggested activities or create your own, and reap the daily benefits of being an active older adult! 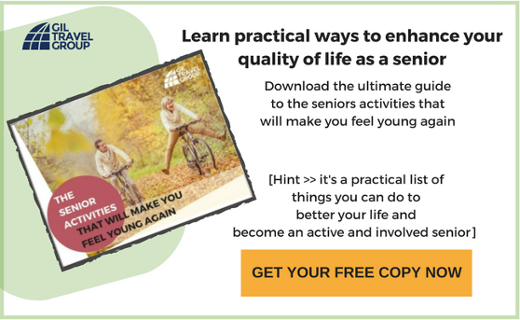 If you found this useful, download the ultimate guide to the senior activities that will make you feel young again.